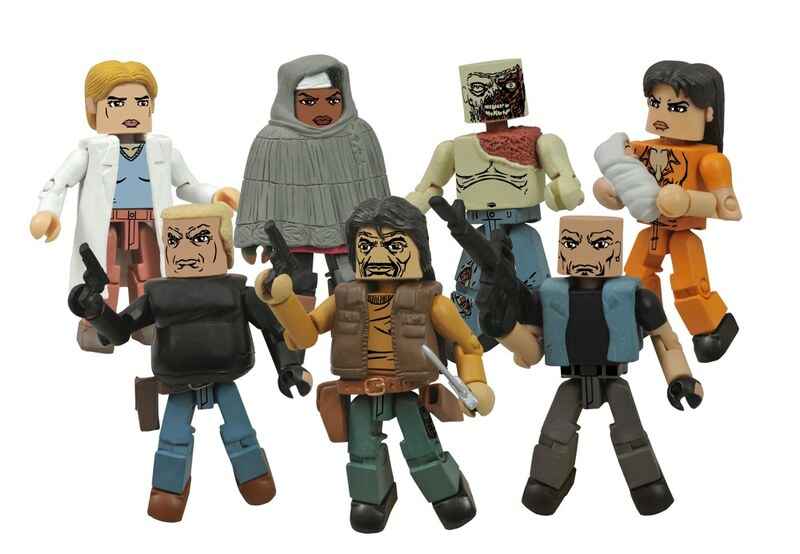 Walking Dead Minimates Series 4 re-unites the Governor and his lieutenants with some of the people who hated them the most. The Governor himself comes in a two-pack with his lieutenant Gabe, with whom he stormed the gates of the prison. 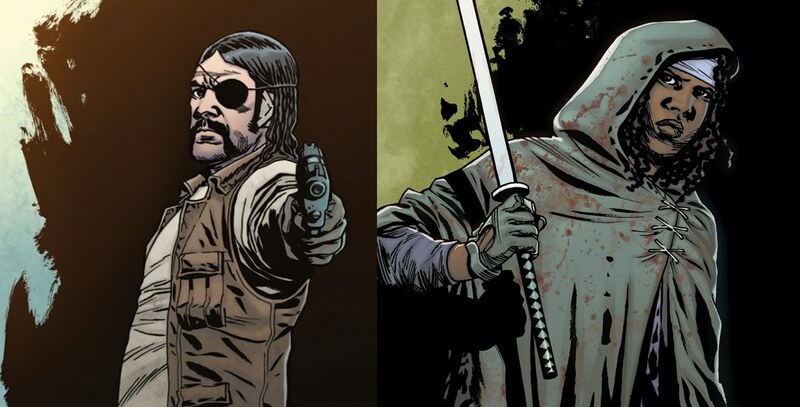 Michonne, the woman who received the worst of the Governor’s brutality, comes with his accomplice Bruce, as well as a new poncho accessory. Rick’s wife Lori (with baby Judith) comes with a partially flayed Shoulder Zombie, and a variant of that set will replace Lori with the prison doctor and Woodbury defector, Alice.